Mrs. Neeta, a resident of Indore, had some savings in her hand from her monthly income. She was willing to invest it in an investment plan that can give her assured returns in future. But she didn't have much idea about the various investment plans available in the market. Few of her friends suggested her to go for a fixed deposit scheme while others suggested her to go for a mutual fund scheme; this made her more confused as to where to invest. Looking at her confusion her daughter helped her out and explained to her some of the financial investments plans where she can invest to earn the profit. A Fixed Deposit Investment is considered as one of the safest investment options. You can invest your saving in this plan for a fixed tenor at a certain rate of interest. 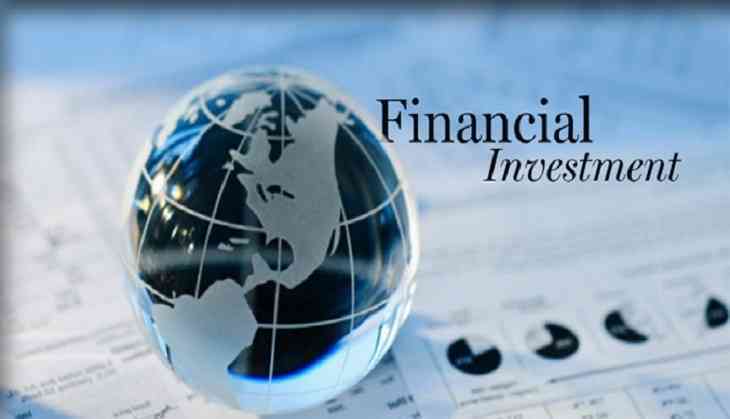 The interest that you earn from this investment is tax-free, and you can enjoy the full amount invested. This investment option is safe and will fetch you assured returns. The interest rates are fixed and are not affected by the market fluctuations which make it a safe investment option. If any time, you are in a cash crunch, you can easily withdraw the invested amount or even close the FD before maturity. You only need to pay some penalty amount for the withdrawal or for foreclosing the FD before maturity. So, if you are seeking an investment option that is safe and gives you assured returns, and then you can definitely opt for a fixed deposit investment. You can open a fixed deposit account with a minimum sum of Rs.25,000 so that you can easily invest in every budget. A mutual fund investment is a better investment option for those investors who are looking for high returns on their investments. The investors must know that a mutual fund scheme will fetch them high returns, but the risk involved in such investment is also high. A mutual fund investment can give you higher interest rate depending on the market conditions. The interest rates of a mutual fund are subject to risk as per the market conditions. The investment made in a mutual fund can easily be withdrawn through a redemption request. You can take a mutual fund by investing a small sum of Rs.500, and the frequency of payment can be monthly, quarterly or yearly. A public provident fund is another safe option to invest and is considered as one of the best investment options in India. The investment made in a PPF account is risk-free as it is backed by the Indian government. The interest that you will earn on a PPF account will also be tax-free. The invested sum remains locked with the government for 15 years, and you can earn a compound interest from this investment at the completion of the tenor. You will not be able to withdraw the money before the maturity. You can open a PPF account with a minimum sum of Rs.500 and can deposit the maximum amount of Rs.1,50,000 in a financial year. If you are having a big sum in your hand and are willing to invest it for a longer tenor, then you can surely invest in gold. Looking at the increasing value of gold in the current market, investing in gold can fetch you good returns in long-term. You can invest in gold through physical purchase or by purchasing gold exchange-traded funds (ETF).The investment in gold ETF is safe and can give you higher returns in long-term. All the mentioned investment plans can give you better returns and are less risky as compared to other investments. So, now you can easily choose the best investment plans as per your risk-appetite and your future needs.